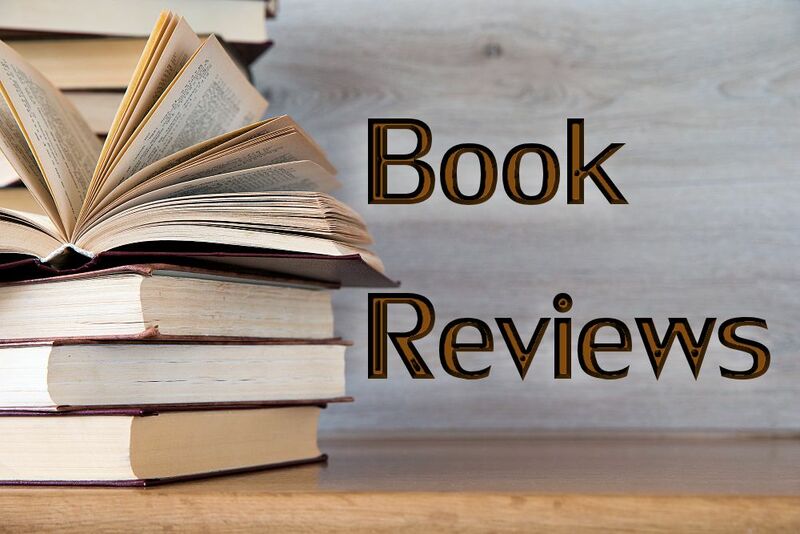 Home Book Reviews A Sword between the Sexes? by Mary Stewart Van Leeuwen. Grand Rapids, MI: Brazos Press, 2010. As a university teacher who often assigns Lewis’s works in my classes, I’ve seen firsthand the dismay of students when they come across some of Lewis’s pronouncements in Mere Christianity about male hierarchy in marriage or his portrayals of gender essentialism in That Hideous Strength. 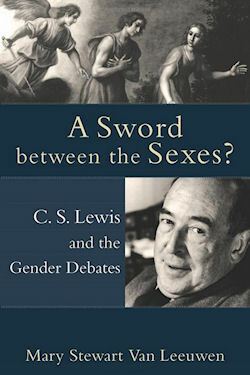 Like Mary Stewart Van Leeuwen, author of the newly released Sword Between the Sexes?, I’ve remained a fan of Lewis’s works in spite of his blind spots; still, before I read her book, I had never really looked in any comprehensive way at Lewis’s view of gender. What Van Leeuwen (Professor of Psychology at Eastern University and resident scholar at the Center for Christian Women in Leadership) undertakes in her book is a necessary, if challenging, task: to analyze Lewis’s works identifying his views on gender, to identify the sources of those beliefs and opinions, and, finally, to determine their accuracy (or inaccuracy) based on Christian theology and the findings of the social sciences—and to accomplish all of this without either lionizing or demonizing Lewis. Lewis defended for much of his life a view of male-female relations that was both essentialist and hierarchical. For example, in 1945, he wrote, “I do not believe God created an egalitarian world. I believe the authority of parent over child, husband over wife, learned over simple, to have been as much a part of the original plan as the authority of man over beast” (“Membership,” in The Weight of Glory). In That Hideous Strength, the third volume in his space trilogy, Lewis seems to argue women must either embrace neutral celibacy or wifely submission. Lewis felt free to make assertions about “what men are like” and “what women are like” without having to defend them empirically. For example, in Mere Christianity, part of Lewis’s argument for male headship in marriage is based on the assertion that the man is more rational and, therefore, more likely to be just in dealing with outsiders, as opposed to the woman, who is fighting for her own children against the rest of the world, and will respond based on intense family patriotism, i.e., emotionally. Van Leeuwen also reminds us of why all this is a problem. First, many of Lewis’s most misogynistic statements are found in his more popular works, including Mere Christianity, The Screwtape Letters, The Great Divorce, and The Four Loves. Second is Lewis’s amazing and ongoing popularity among Christians. As Van Leeuwen notes, many Christians have turned Lewis into “a species of plaster saint, whose every published pronouncement has been accorded almost Canonical status” (257). Van Leeuwen takes a very balanced approach. She not only indicts Lewis on charges of misogynism; she also does her best to defend him—or, at least, to help us understand what led to some of his “shocking nonsense” about women. She suggests, for example, that Lewis’s stance on gender reflects the assumptions of the Edwardian era he was born into and the largely male culture of Oxford and Cambridge where he taught. She argues that Lewis was a better man than his theories in that his relationships with actual women were more mutually respectful and egalitarian than his published writings. Here Van Leeuwen provides some original and insightful discussions of Lewis’s correspondence and relationships with Dorothy L. Sayers, who often confronted Lewis about his views on gender; Mary Shelley Neylan, a former female student for whom Lewis provided support and mentorship; Sister Penelope, a correspondent whom Lewis frequently consulted about spiritual matters; Ruth Pitter, poet and good friend; and Stella Aldwinckle, chaplain to women students at Oxford with whom Lewis worked in the Socratic club. Finally, drawing on her academic expertise, Van Leeuwen reminds us Lewis and those of his era were largely ignorant of the psychology of gender and that Lewis maintained such a strong prejudice against the social sciences he probably would have ignored the research findings had they been available. In Chapter 7, Van Leeuwen departs from her discussion of Lewis and his time to review research on gender differences. I recommend this chapter to all readers, even to those who have no interest in C. S. Lewis. Van Leeuwen notes that evangelical Christians have turned, not only to C. S. Lewis, but also to the social sciences to support their belief in essential gender differences. Through a careful analysis of the data, Van Leeuween demonstrates how Christians defending proscribed male and female roles have misread the psychological literature to prove that, in popular parlance, “men are from Mars, and women are from Venus.” Van Leeuwen’s analysis of the data reveals, to the contrary, that “women and men, boys and girls, are overwhelmingly more alike than different” (188). Her view turns out to be similar to that of Lewis’s friend and colleague, Dorothy L. Sayers, who wondered why women and men were called “opposite sexes” rather than “neighboring sexes.” Perhaps the truth, Van Leeuwen suggests, is closer to another bumper sticker slogan: “Men are from Earth; Women are from Earth—get used to It!” (183). I found Van Leeuwen’s book extremely well researched and readable. She is more than fair with Lewis. If anything, I expect some readers will think she defends him too vigorously. As a contrast to Van Leeuwen’s approach, I would recommend a book that is much harsher in its assessment of Lewis’s misogynistic tendencies: The Magician’s Book: A Skeptic’s Adventures in Narnia by Laura Miller (Little Brown, 2008). I wish Van Leeuwen had delved more deeply into other fictional works of Lewis including The Chronicles of Narnia, The Screwtape Letters, and The Great Divorce. Laura Miller notes, for example, that in Narnia, two of the most memorable villains are women: the White Witch and the Lady of the Green Kirtle. Both of these temptresses use their physical beauty to seduce and exercise power over men. She also observes that although Lewis includes several heroines in the Chronicles, the women who achieve this status are children, whose sexuality and physical allure have yet to emerge, or tomboys, like Aravis. While Van Leeuwen does address Susan’s exclusion from the Narnian heaven for womanly vanity, it seems further explorations like those Miller undertakes would have been useful in filling out her description of Lewis’s views of gender roles. In fact, for me these would have been more valuable than chapters 8 and 9, which discuss Lewis’s views on divorce and childrearing respectively and which seem slimly related to the book’s thesis. This is a conclusion, I suspect, that could be supported by Christian feminists, and, perhaps, as Van Leeuwen works hard to convince us, even by the mature C. S. Lewis. © 2011 by Evangelical & Ecumenical Women’s Caucus. Originally published in the Fall (October – December) 2011 issue of Christian Feminism Today, Volume 35, number 3. Gary L. Tandy is professor of English and chair of the Department of English and Theatre at George Fox University in Newberg, Oregon. In addition to teaching writing (professional, technical, creative, and more), as well as British and American literature, Dr. Tandy has specialized in the work of C. S. Lewis and has published essays and reviews on Lewis’s work and Christian spirituality in The Bulletin of the New York C. S. Lewis Society, The Christian Chronicle, Christianity and Literature, and Sehnsucht: The C. S. Lewis Journal. His book, The Rhetoric of Certitude: C. S. Lew­is’s Nonfiction Prose, was published by Kent State University Press in 2009.